This fabric is my favorite find ever! I found a very small piece 3 years ago and have been on the hunt(no pun intended) ever since. This is an unused “ new” vintage piece of fabric from the 1950’s. It is in pristine condition. The photographs do not do the colors justice. 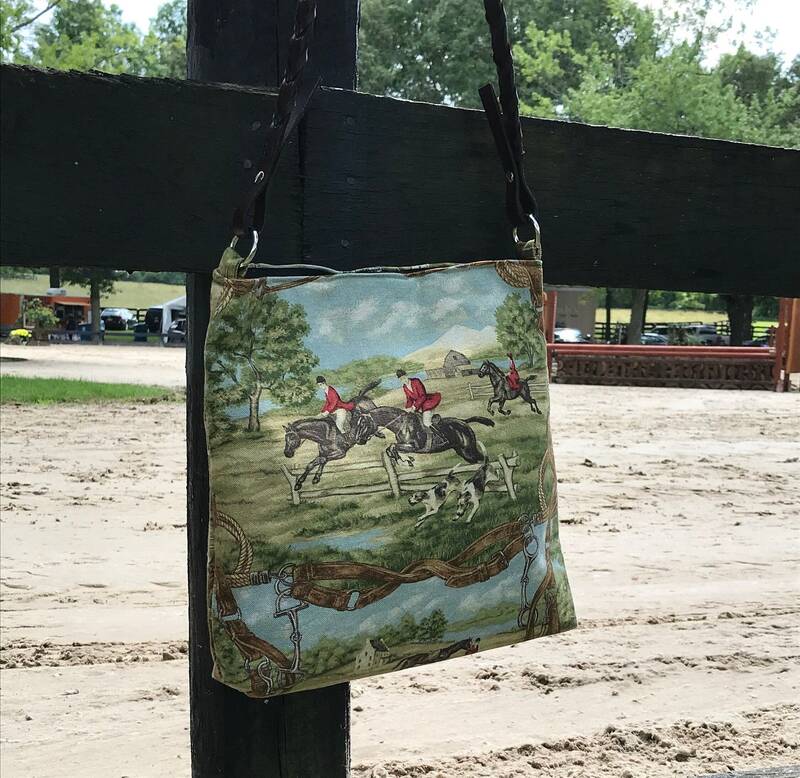 The colors are amazing and rich and the upholstery weight is perfect for a handbag or tote.. 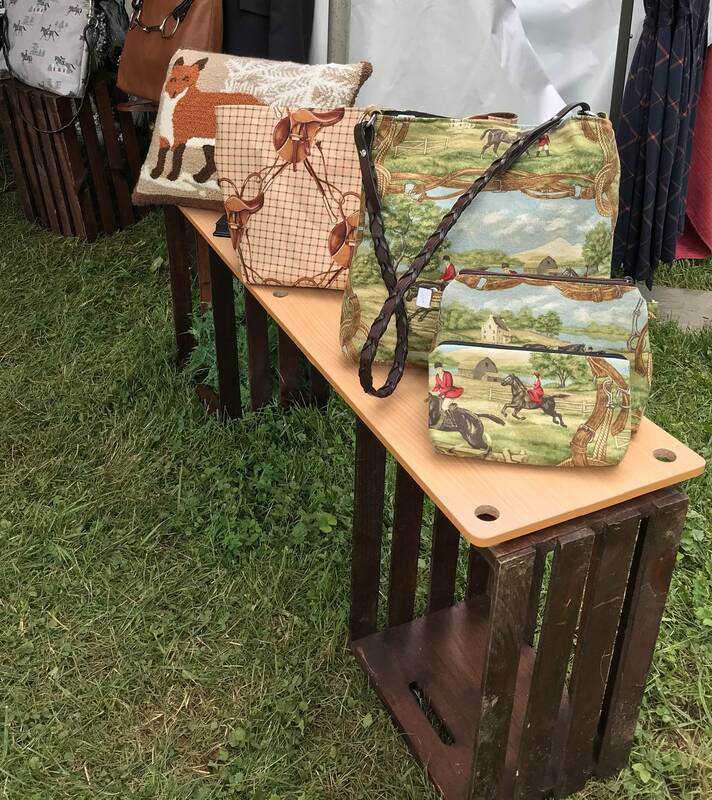 This shoulder bag measures 14x11x3 It has a brown lining with multiple compartments and pockets. 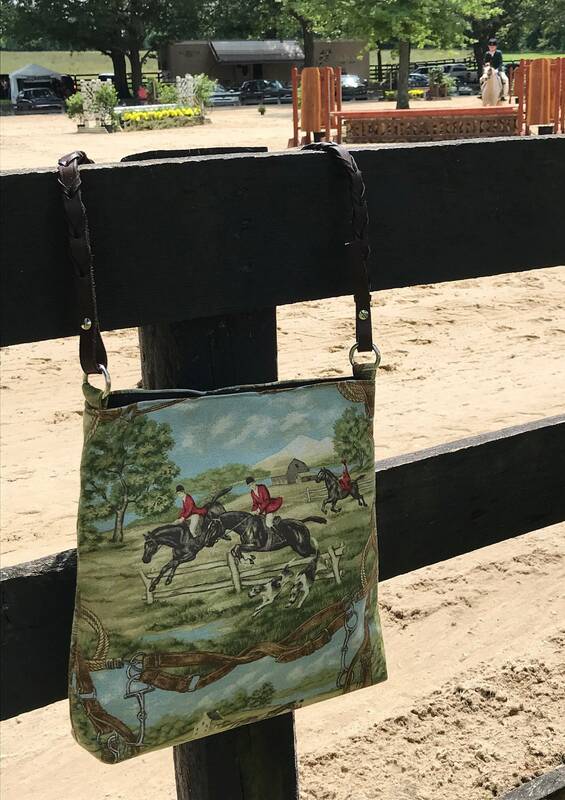 Perfect for a horse show, traveling or just to show your love of all things equestrian. This large bag can carry everything you need. 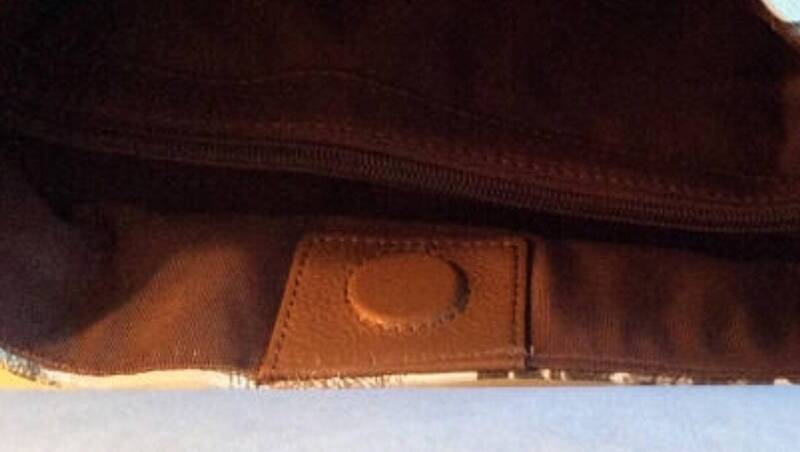 The shoulder strap is actually a brown laced rein held with stainless steel Chicago screws. This is sure to be your favorite and the envy of many. I have one in stock and ready to ship. I have only 4 yards of this fabric. 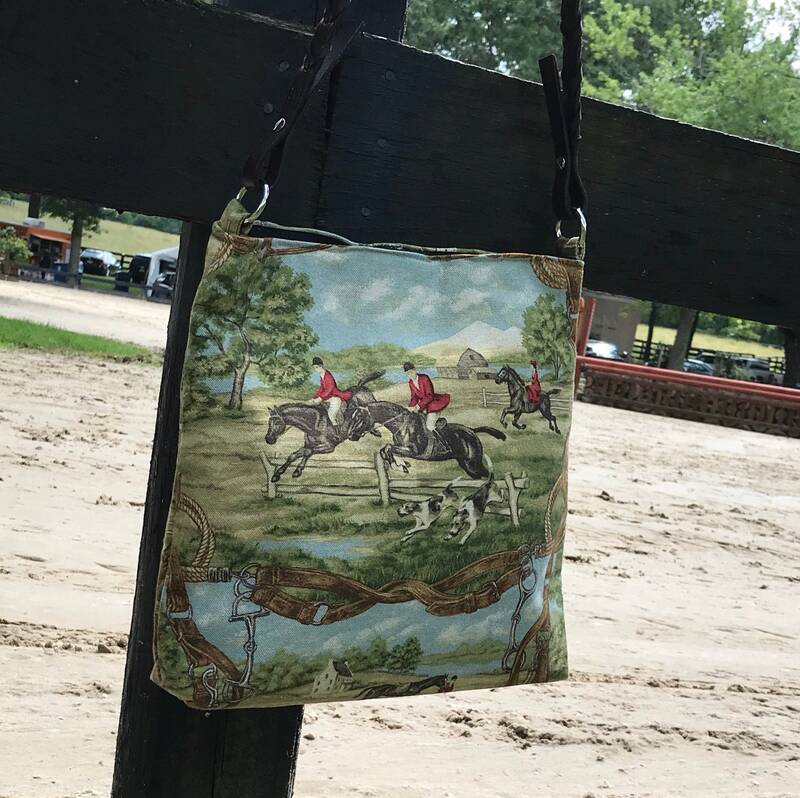 If you would like a custom size please message me and we can create a bag or travel set to your specifications. We can customize the closure and pockets as well.